Back in the summer of 2014, Matt Leon ’18 was finishing up his senior year at Liberty High School in Bethlehem, Pennsylvania, with his baseball future very much in doubt. A skinny right-hander, Leon had his share of success at the high school level: first-team all-conference and all-area selections, two career no-hitters, and a 1.55 ERA with 85 strikeouts in 54 innings as a senior. But Leon’s accomplishments had not translated into any offers from a Division I school. He sent in a deposit to attend the University of Pittsburgh, facing a future that did not involve collegiate baseball. 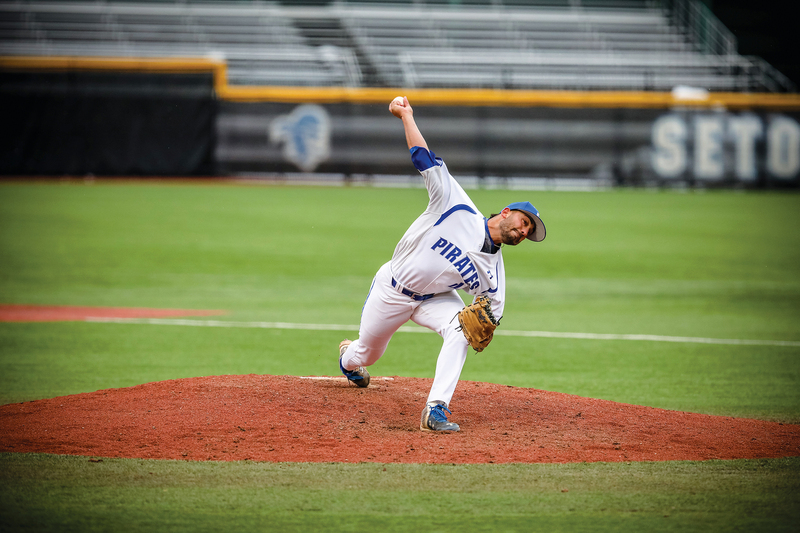 Then, in a last-ditch effort to avoid hanging up his cleats, he emailed Seton Hall’s head baseball coach, Rob Sheppard, asking for a chance to try out for the team. Leon at last had the opportunity he craved, but he acknowledged that the process of making the team was one of the most difficult years of his life. For Sheppard, Leon’s drive to keep showing up day in and day out set him apart from other players trying to make the team. After months of arduous training and uncertainty, Leon was finally assured a spot on the roster for the 2015 season. A four-year starting pitcher in high school, Leon quickly made the adjustment to the bullpen. The results were strong — opponents hit only .244 against him as a freshman, .212 as a sophomore and a minuscule .171 as a junior. His work ethic and persistence to achieve made it easy for Sheppard to make Leon the closer his senior season. Leon more than just got the job done last season — he posted one of the best relief seasons in Seton Hall history. With a 1.17 ERA, .205 opponent batting average, and a Seton Hall single-season record 12 saves, Leon was named a unanimous first-team All-BIG EAST selection and earned his very own social media hashtag: #LockdownLeon. 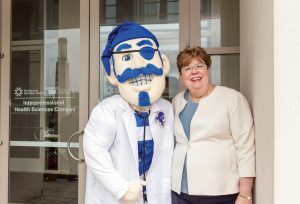 Leon, who graduated from the Stillman School of Business and earned Seton Hall’s Academic Merit Award for finishing school with a cumulative GPA above 3.2, ended his playing career having pitched 88 times for the Pirates, the second-most in school history, which is something he could have never imagined just four years ago. 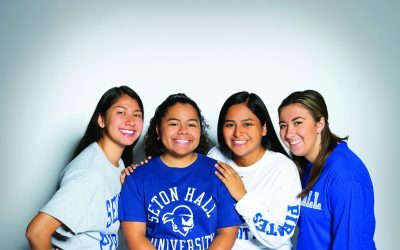 Leon’s persistence first landed him a spot at Seton Hall. Now it has landed him an opportunity to pitch professionally. In June, he signed a free-agent contract with the Los Angeles Angels of Anaheim, the latest in a long line of Pirates to turn their collegiate career into a chance at the big leagues. Nick Santoriello ’20 is a writer for the Pirate Sports Network.